Many years ago, my Mom and I made a trip to Scottsdale Arizona to visit my Mom’s Aunt Joy. Aunt Joy was an elderly woman living in a well to do retirement village and was wanting to give my Mom some “family things” before she downsized to a smaller apartment. She was a feisty woman full of life. She had the best stories. She had lived all over and was a brave woman. She hadn’t left her retirement village in probably five years but she wanted us to take her to see her old house that her and her husband had built. So we did. How we finally found it I can’t remember, but she sweet talked our way past the security guards at the neighborhood entrance. We found her home after several wrong turns and she fussed and complained how the owners had changed the landscaping. I was beginning to think we had made a mistake bringing her here, when I suddenly KNEW we had made a mistake when she insisted we pull into the driveway. She wanted me to help her to the door!! Norman, her husband had left some boxes in the attic and she was there to claim them!! Mind you, they had moved out some 15 years ago!!! Well, you don’t tell Aunt Joy no, so I helped her to the front door with her walker. Thankfully no one came to the door. Thankfully I tell you!! I can’t imagine THAT conversation!! Okay, I’m really not writing about Aunt Joy, although she is worthy of writing about for sure. But I wanted to tell the story about something she gave us. 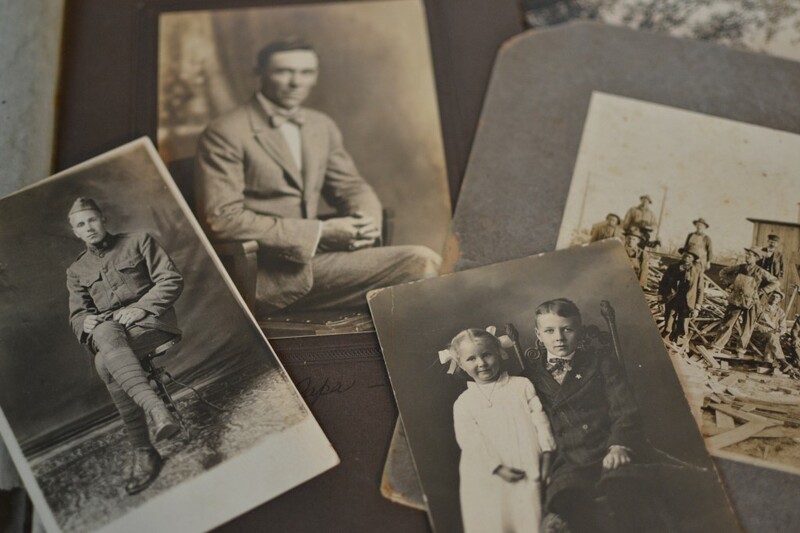 My Mom doesn’t have that many family photos of generations past and Aunt Joy gave Mom a box full of old photographs. She went through them all telling us who they were and we wrote on the back of them. A treasure of history right here for us. It was such a special time. I love old photographs and I have many in my house already especially wedding photographs but I don’t know who the people are but I just love the era and can’t pass them up. 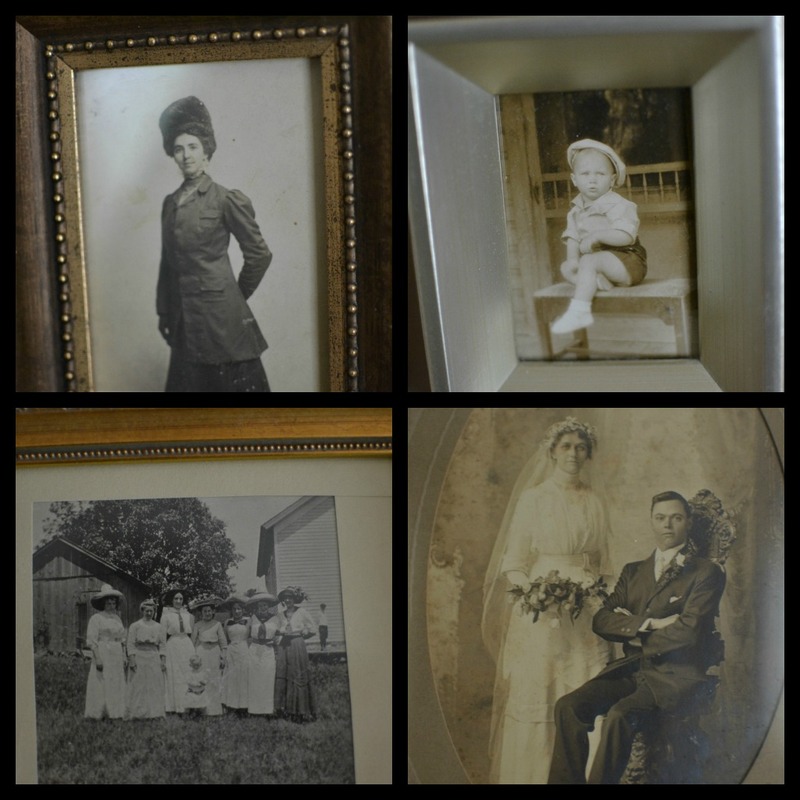 So I was so excited to have these pictures that were actually relatives! I decided to gather them together and group them within this large frame I had (which had been a mirror that broke). I centered it over our bed. I bought frames that complemented each other at various stores and grouped them together. I had two wedding pictures I wanted to include. 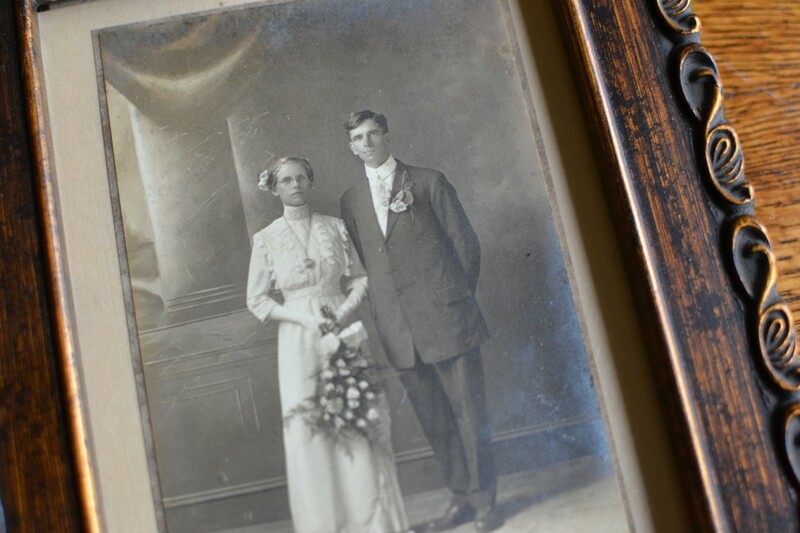 One of my great, great grandparents. I went to trim the picture to fit into the frame and it was really thick to cut. I thought there must be something tucked behind the picture. I looked and there was! It was an envelope and I had cut it. I was so excited though!! 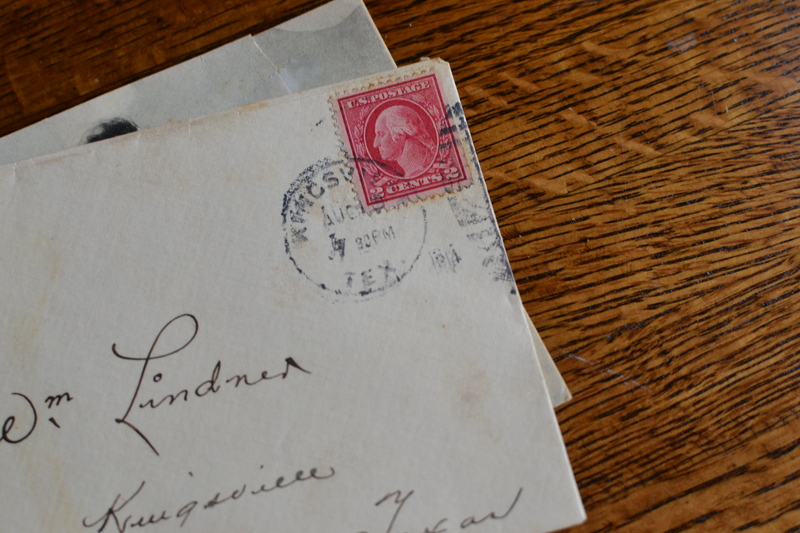 A tucked away letter behind a wedding picture. 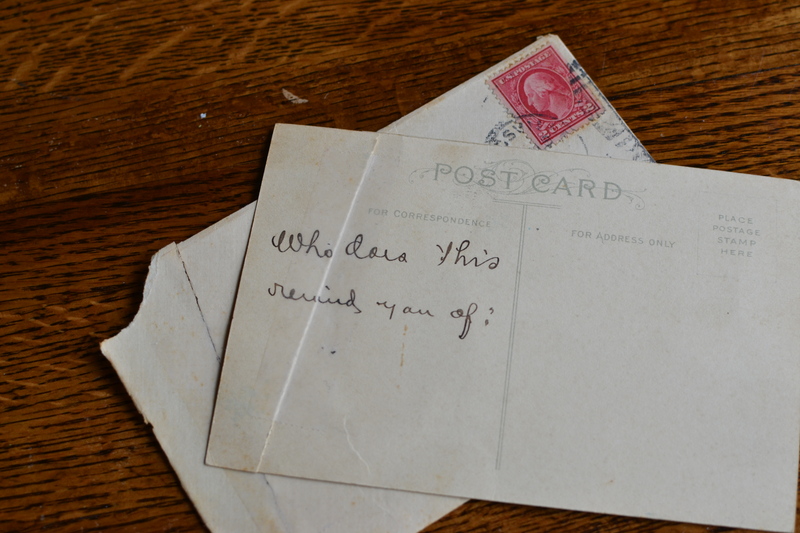 The postage was 1914. 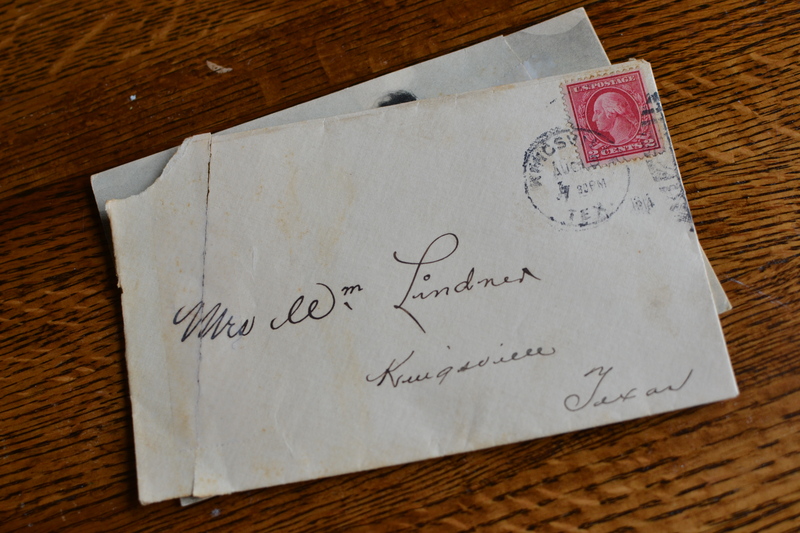 Addressed to Mrs. W.m Lindner. No return address. This is what was inside…. I found a treasure!! Can you imagine how she must have blushed receiving this postcard from her husband? He sent it in an envelope even though it’s a postcard. That was decent of him. There is a story behind this card. I wish I knew it. I love thinking about it. 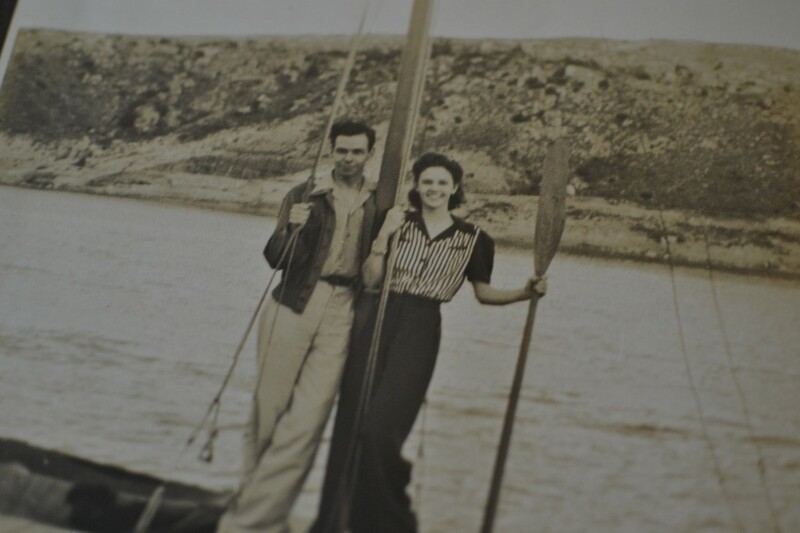 This entry was posted in photography, vintage and tagged family, frames, old photographs by Katey. Bookmark the permalink. Katey, thank you for sharing this…a treasure indeed!!! Katey, you write the neatest blogs and I’ll be john brown if you don’t bring a tear to my eye every time! I love them! and you!! 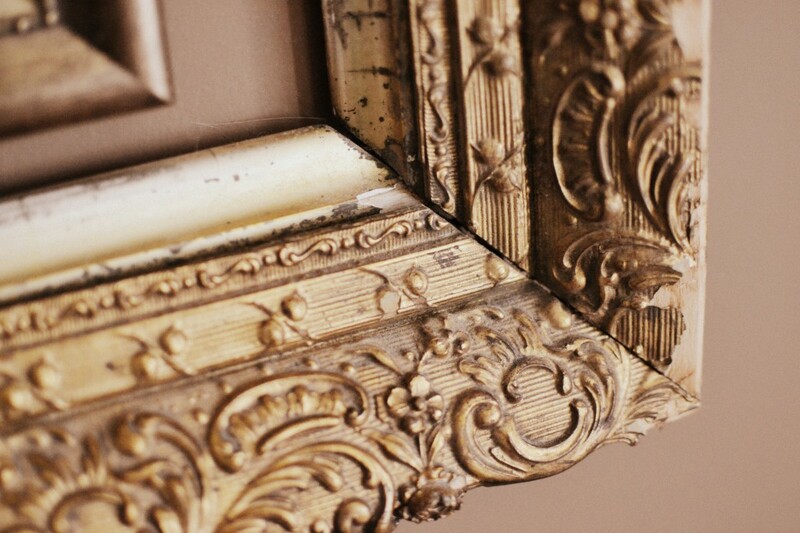 love this post and I too love the old family photos that I have- I love the idea of putting them together in frames inside a bigger frame. Love that. Hi Katie! I just found your blog by accident…and I love it! I am mentioning you in my blog post today. i actually gasped and went “oooooooo!” in admiration for the postcard having been sent, having been kept, and your having found it again after all this time. what a wonderful, wonderful story!!!!! i also love, so much, how you framed everything. your touch is beautiful, with all in life. thank goodness our paths have crossed, after so much uncrossed time had passed. life amazes me, daily.